Caño Island is located approximately 17 km off the coast of Drake Bay on the Osa Peninsula. In 1519, Juan de Castañeda named the island Caño Island. In 1976, the island was annexed to be a part of Corcovado National Park. It was declared biological reserve in 1978. Caño Island has been inhabited by various groups of humans beings throughout time. Most importantly, it was used as a cementery for Chiriqui. communities from 1500-700 B.C. In the center of the island lies a vaco, (Brosimun Utile) plantation. 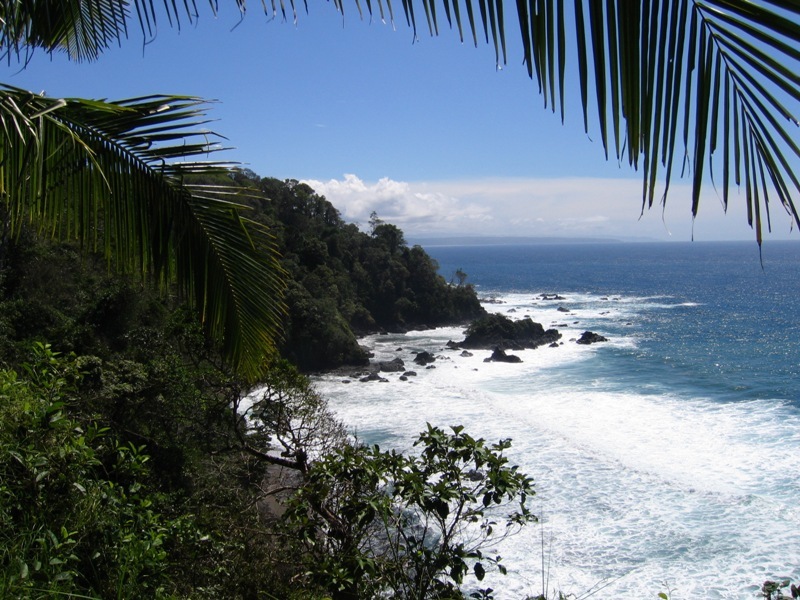 this area is throught to have been used for religious purposes by the Quepos and Cotos. Caño Island is also well known for its archeological relics, especially its giant rock spheres and ceramics. In the waters surrounding the island are five coral reefs. On these reefs, which vary in size from 0.8 hectares to 4.2 hectares, scientists have identified 19 different species of coral and 60 species of mollusks. The dominant species of coral is the Porites Lobata which is highly resistant to environmental fluctuations. Because of this, combined with the fact that it recuperates quickly and has very few animals that prey on it, the ecosystem of the waters surrounding Caño Island is one of the most healthy and best preserved in the Costa Rica Pacific. Another item of interest concerning Caño Island is that it is a meeting ground for many large sea mammals that migrate from both hemispheres in orden to procreate in warm waters. Among those visiting this are Orcas, False Orcas, Bryde’s Whale, humpback whales, pilot whales, pilot whales, sperm whale, and the pygmy sperm whale. 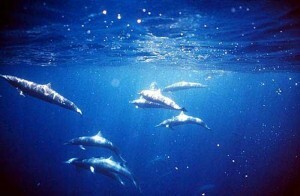 Dolphins are also known to reside around the Island. 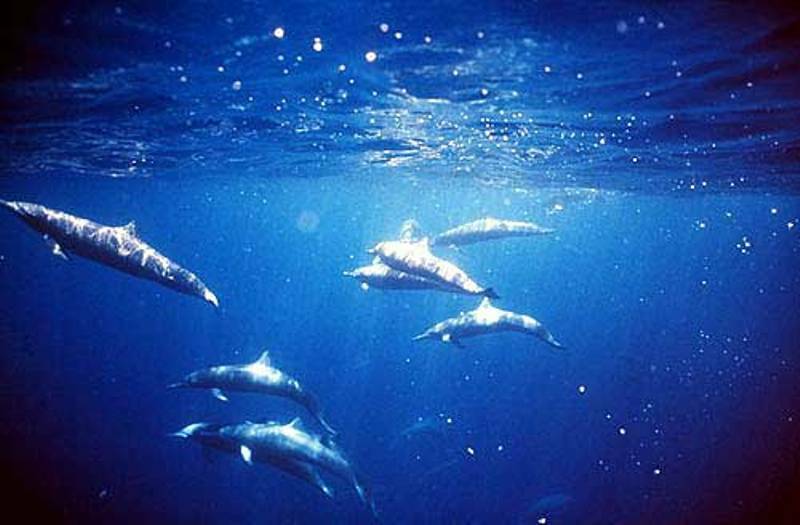 The species of dolphins observed are the common dolphin, bottle-nose dolphin, and the Pacific spotted dolphin. 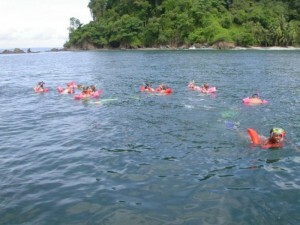 Many dolphin and whale watching tours are offered on the Osa Peninsula. While they are great experience. If you need more information about the ” Biological Reserve of Caño Island” please contact our staff.